A founding member of the Chicago's influential Steppenwolf Theatre Company (along with Terry Kinney and Jeff Perry) when he was barely 19, Gary Sinise made his professional acting debut at the age of 17 in a 1973 production of The Physicist. Sinise himself would sum up his career best by noting that the secret to a successful career is not to focus on taking off like a rocket, but to "always keep the engine running." With a prolific and well-defined career on each side of the camera in addition to his stage work, keeping the engine running is precisely what Sinise has done, and that engine has been well maintained. Born March 17th, 1955 in Blue Island, IL, Sinise's attraction to the stage was supported early on through the encouragement of Barbara Patterson, his high school drama teacher. After a role in West Side Story, Sinise's love for the stage was set in stone, leading him to found the Steppenwolf Theatre Company, where he would meet his future wife, actress Moira Harris. Initially based in a church basement, the Steppenwolf quickly grew in stature and respectability, serving as the breeding ground for such talents as John Malkovich and Laurie Metcalf, and earning critical praise with productions like Sam Shepard's True West, which would eventually become the company's Broadway debut. 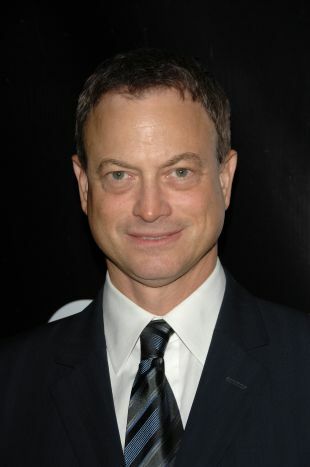 Sinise's film and television career began as a director on such television series' as Crime Story and thirtysomething, eventually leading to his feature directorial debut with the rural drama Miles From Home (starring fellow Steppenwolfers Metcalf and Malkovich) and his feature acting debut in the haunting war drama A Midnight Clear (1991). Sinise's love for the stage resurfaced with his ambitious 1992 remake of Of Mice and Men (in which he also starred, again with fellow Steppenwolf alum Malkovich, in the roles they had both portrayed on stage). 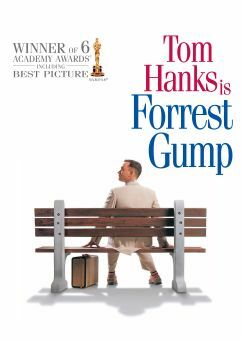 But it was his performance as the physically crippled and emotionally shattered Lt. Dan in Robert Zemeckis' blockbuster Forrest Gump (1994) that brought Sinise to light as an actor of considerable talent. His sensitive portrait of a once invincible soldier reduced to a pathetic self-pitying ghost of his own former glory was the perfect vessel for the actor's quiet intensity and florid emotional capabilities, and brought him the Oscar nomination for Best Supporting Actor. That same year Sinise had a starring role in the long-anticipated television adaptation of Stephen King's apocalyptic thriller The Stand. 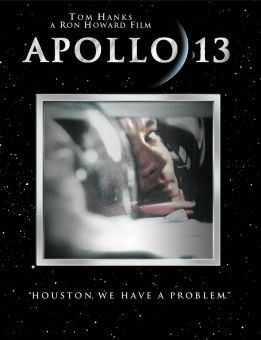 Sinise continued to display his dramatic abilities through the '90s, rejoining Gump co-star Tom Hanks in Ron Howard's Apollo 13 and starring as both Harry S. Truman and George Wallace in the biopics Truman (1995) (for which he won a Cable Ace Award and a Golden Globe) and George Wallace (1997) (for which he won an Emmy). With minor appearances in The Green Mile and Being John Malkovich (both 1999), Sinise brought in the year 2000 in a sci-fi mode, with Brian De Palma's existential thriller Mission to Mars and as a weapons engineer with questionable motives in Imposter. Throughout the next decade Sinise worked in a variety of films including The Big Bounce, The Human Stain, and The Forgotten. However he had is most visible role on the small screen when he was cast as the male lead in the third of the popular CSI series, CSI: NY. In 2006 he brought his theater trained voice to the animated Open Season. Made professional stage debut in The Physicist at age 17. At age 18, he was one of the cofounders of the Steppenwolf Theater in Chicago in 1974, serving at various times as artistic director. Directed episodes of NBC's Crime Story (1987) and ABC's thirtysomething (1989). Formed the band the Bonsoir Boys in which he played bass and sang. Also played bass for the Lt. Dan Band, a group named after his role in Forrest Gump. Received an honorary degree (Doctor of Humane Letters) from Amherst College in 2003. Founded Operation Iraqi Children with author Laura Hillenbrand in 2004, a program that sends school supplies to the children of Iraq. In 2007, he participated in a documentary in support of the military called On the Road in Iraq With Our Troops and Gary Sinise. Won a 2008 Presidential Citizen Medal for his charitable efforts. 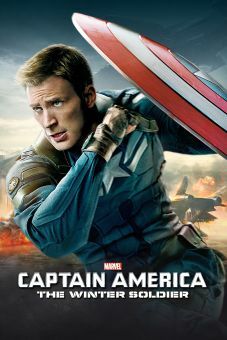 In 2009, he narrated the acclaimed History Channel series World War II in HD.